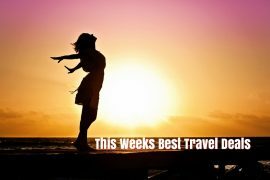 In my best travel deals this week I have last minute all-inclusive holidays, a luxury cruise, a family deal to Puerto Rico in July, Croatia in August and Dubai in September. I also have fantastic early booking offers to Couples Jamaica and a family deal to Lanzarote for Easter! Fancy a last minute getaway but think a week is too long? Check out GoHop.ie for a choice of 5 night all-inclusive deals. 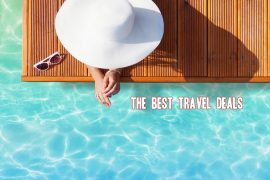 Jet off to the Algarve on the 26th of May and spend 5 nights in the 4* Verandas de Albufeira from €321 or choose the 4* Elegance Diana Park in Tenerife from €346 on the 14th of June. 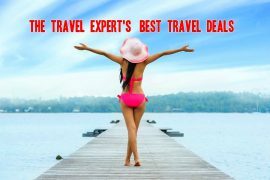 Prices include flights, accommodation on an all-inclusive basis, taxes and charges. Croatia is so on trend this year and the Istrian Coastal resort of Pula is one of the hot spots. Fly from Dublin to Pula with Aer Lingus on the 17th of August and spend seven nights at the fabulous Park Plaza Verudela hotel for only €723 per person. I stayed here last year and loved it and check out the views on tripadvisor if you still need convincing! Still haven’t booked your family holiday? I found this amazing deal to Puerto Rico in July! Fly from Dublin on the 13th of July and enjoy a seven night stay at the highly rated Rio Pedras apartments for only €1448 , based on 2 adults and 2 children! Enjoy a three night stay in Dubai from only €499 in September. This price includes direct flights with Emirates and three nights at the Arabian Park hotel. Fancy a bit of luxury? Stay at the 5* Bonnington Lakes Jumeirah from only €585! Both prices includes flights, accommodation and all taxes! Tropical Sky have exclusive offers to Couples resorts in Jamaica for this year and 2018. Couples are probably one of the world’s best all-inclusive resorts and if you book before the 31st of May you can save up to €1000 off the accommodation cost! Prices for 2017 from €1729 per person and 2018 from €1819. Prices include flights, transfers and accommodation on an all-inclusive basis for seven nights. More dates / durations available. This proves that booking early can really save you lots of money! Family holidays at Easter time are always pricey but if you book now you can secure a deal to Lanzarote over the Easter holidays for only €365 per person, based on 2 adults and 2 children sharing! Fly from Dublin on the 29th of March and enjoy a seven night stay at the highly rated Montana apartments in Puerto del Carmen. This price includes airport transfers too! Previous articleHalloween Break at Port Aventura World & Ferrari Land, 3 Nights, 2ad & 2ch, Flights, 4* Hotel & Park Passes, €1019! Next articleEarly Booking Offer to New York, Direct Flights & Hotel, 3 Nights, €495!